I love summer. I've been sleeping in until 7 and my kids have been sleeping in later than that! Besides sleeping in late we have been busy learning some life skills and responsibility! 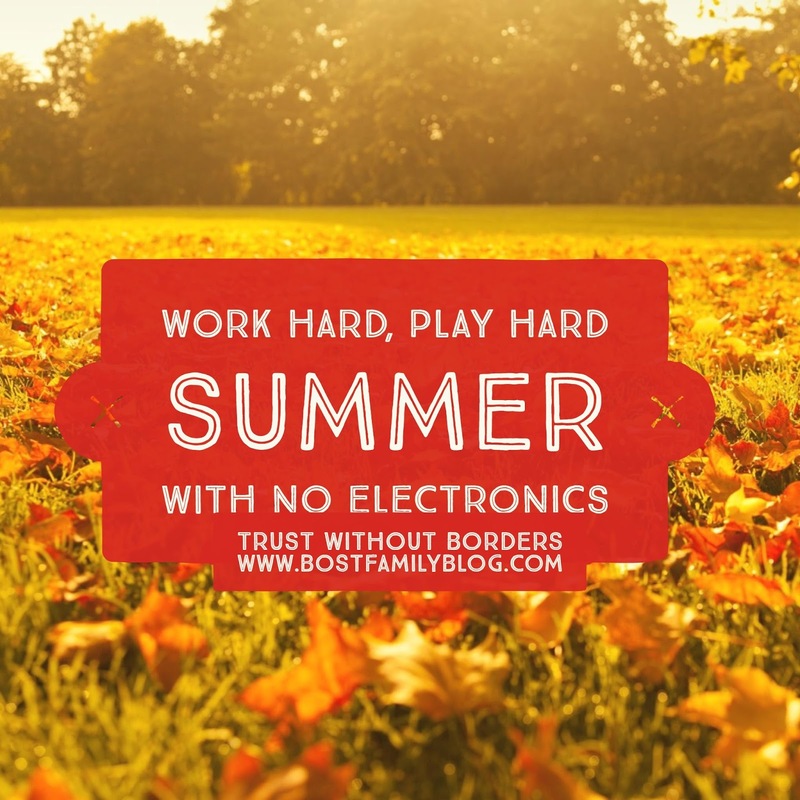 We are also working on a electronic free summer. The kids and I worked on some Summer Rules together and officially declared the Summer of 2017 the summer of Work Hard, Play Hard. We will work together and not fight. Learn to load and run the dishwasher. Meal Prep and Simple Meals- My kids love to cook, I Need to involve them more in the kitchen. What else should kids be doing? My kids love TV... And I love to have a break and let them watch it. But I have noticed they behave much better if they don't watch it or if they don't play on their tablets. It pumps them up and they don't listen... 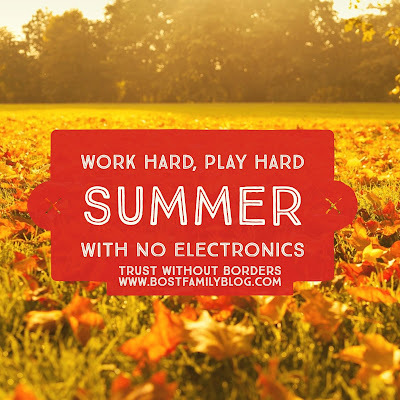 So how am I implementing the Summer of No electronics? "Mom, I'm trying to work with a happy heart because I know that's what God wants me to do but I just can't quit getting mad! I Just Can't Quit Sinning! I even tried to not sin for the day and I Sinned Right Away! ", said Lucy. Life Lesson #567- We are saved by grace because we are sinners, because you love God your sins are forgiven. But BECAUSE we love God we try really hard not to sin because it pleases him. Only one person in the history of people was perfect, and that was Jesus. Because of him we do not have to be perfect." Lucy was pleased by this answer but then I hear my sweet little Henry, "Mom, that means we don't have to be perfect and we don't have to make our beds perfect because only Jesus makes a perfect bed..."